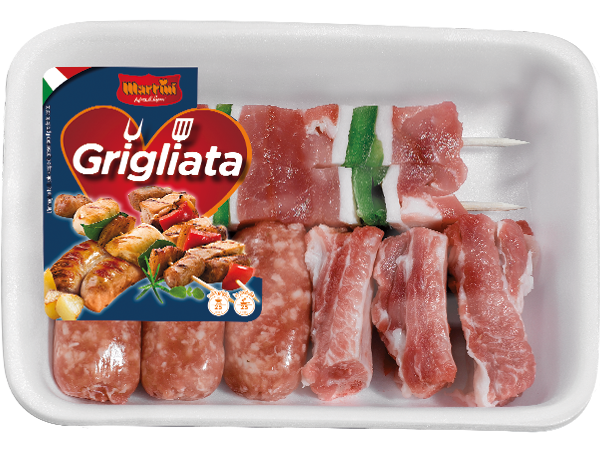 A mix of pork cuts with: meat skewers, “verzino” sausages and ribs. 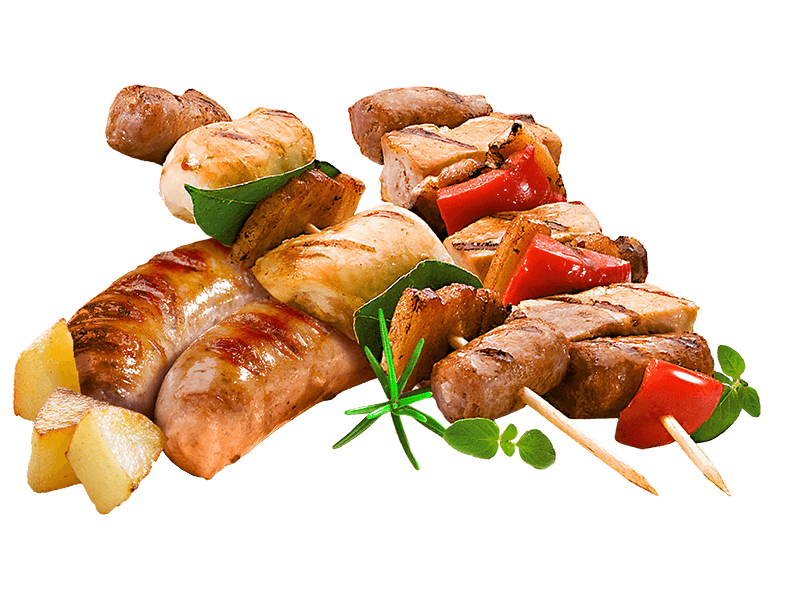 Pork meat (87%), peppers, water, salt, herbs, acidity regulator: E262, antioxidant: E300. It may contain traces of gluten and milk.